Fast Track Your 2- 5 Axis Programming! 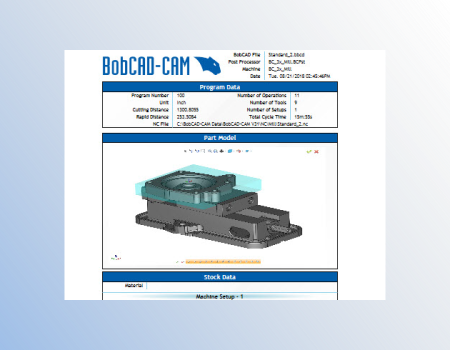 BobCAM for SOLIDWORKS is our new Gold Certified CAM add-in. 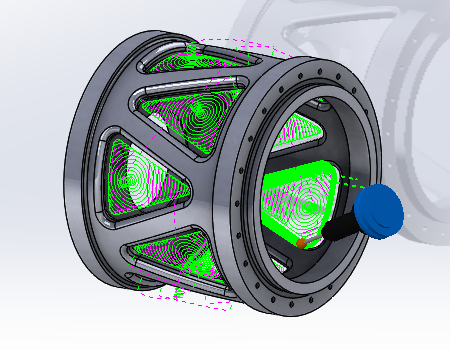 It's fully integrated, single- window, industry-proven CAM technology for SOLIDWORKS. 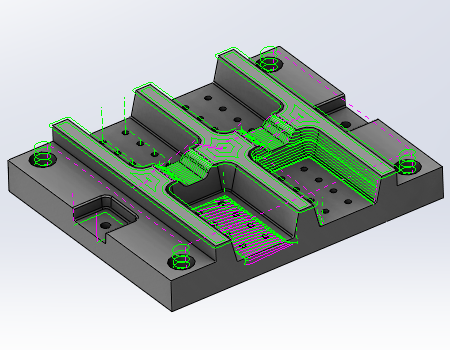 Utilize our easy-to-use, powerful toolpath wizard technology and streamline your workflow in both part or assembly files. 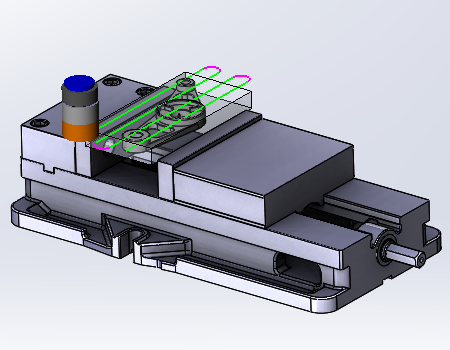 The latest BobCAM for SOLIDWORKS has powerful toolpath features, it’s easy to use and it’s affordable for shops of all sizes. 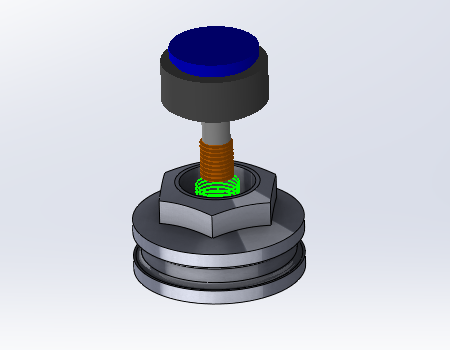 The NC code editor has seen an enhancement, and we are proud to introduce the new NcEditor product into the BobCAD-CAM product line. This product was developed to make your code editing and review much faster and more efficient, as well as provide the ability to simulate your NC programs directly! TEST DRIVE our Powerful CAM software for Milling Today! BobCAM CAM software for CNC milling will streamline your programming process while fully utilizing the SOLIDWORKS environment. 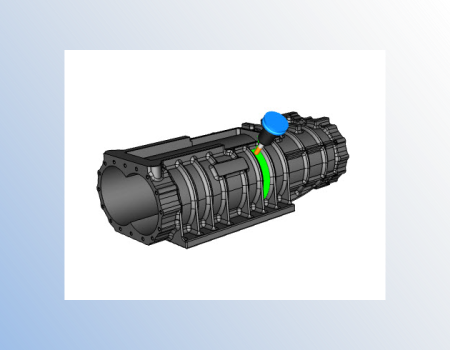 Program in part or assembly files, select and simulate fixtures, use design configurations and more… See for yourself - Try it today for Free! SOLIDWORKS CAM software for Milling delivers the functionality you need to program everything from simple 2.5 axis cutting to complex 3, 4 & 5 axis simultaneous milling. It incorporates a wide range of advanced & fully associative machining strategies using a simple wizard-driven interface that makes programming faster, smarter and easier. The software offers multiple time-saving features including Dynamic Machining Strategies™ to reduce programming time and increase efficiency. BobCAM also includes advanced simulation and reporting tools that allow you to test and confirm your work. Utilize BobCAM’s advanced toolpath technology in your part or assembly files. Take advantage of part configuration for different setups or iterations. BobCAM comes ready to produce standard g-code for today’s CNC machine tools. 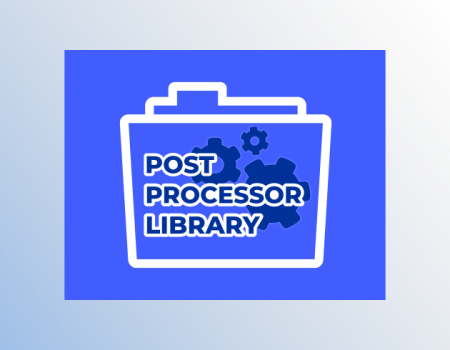 Choose your post processor from our online library or have one custom-built per your machine configuration. Take advantage of modern toolpath roughing cycles that reduce cycle time, cost, and wear & tear on your equipment. 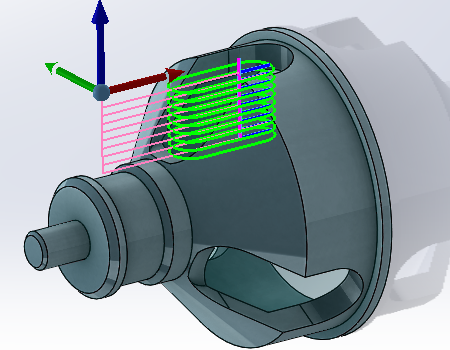 User-editable toolpath to tweak, tune and optimize your cutting routines. BobCAM’s toolpath editor puts additional control in every programmer’s hands to customize otherwise standard cutting routines. 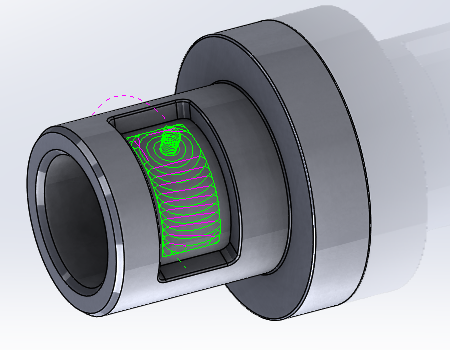 Use your 4th axis to machine features around the diameter of your part. Use wrapped or unwrapped geometry to machine holes, pockets, profile engravings and more! 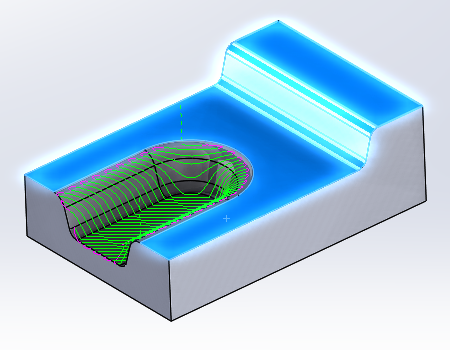 Control where you 3D toolpath is generated by selecting operation stock, which is used as a 3D boundary resulting in toolpath only where the material is located. 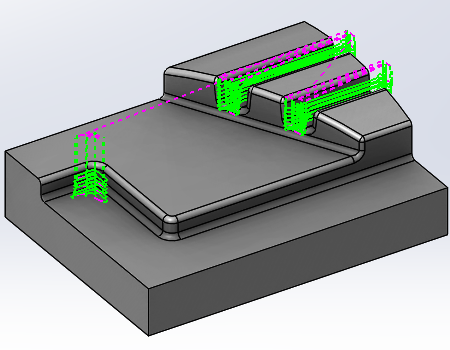 Utilize rest machining to automatically target material left behind by the previous cutter. 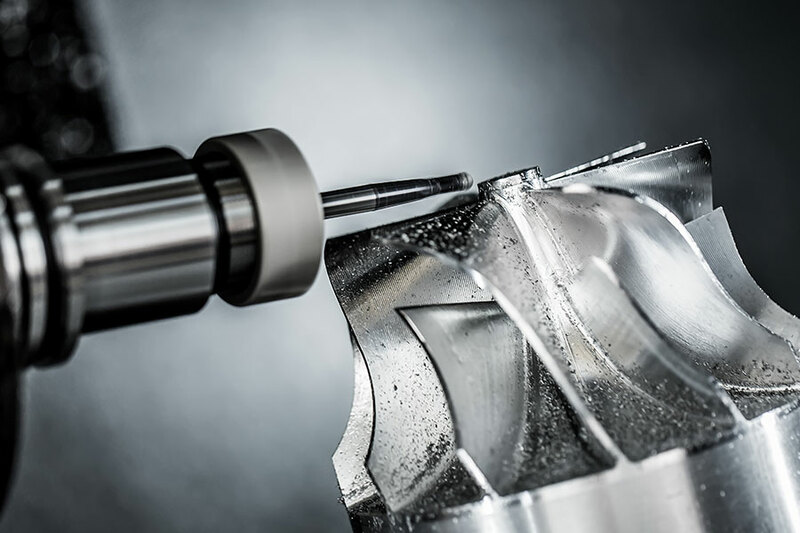 This results in better-targeted toolpath, shorter cycle times and more efficient cutting. 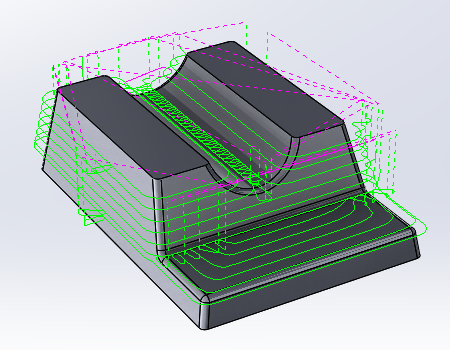 Limit where you toolpath is created using 2D sketches, cut to, inside of, or outside of the user-selected boundary. Need to avoid specific surfaces? Use check surfaces to trim away unwanted toolpath or leave additional allowances. Unleash BobCAM’s full arsenal of 2D and 3D cutting strategies to rough, semi-finish and finish simple and complex part geometry. Choose from 39 advanced toolpath operations. BobCAM is feature rich for multiaxis applications, supporting a wide range of 4 and 5 axis machine tool configurations and toolpath operations. Choose from specialty and advanced cutting strategies for bliss, impellers, trim tools and other true 4 and 5 axis applications. Validate your toolpath in a virtual 3D environment against your part model, fixtures and machine components. Use a wide range of simulations tools to better understand your toolpath, machine motion and stock for finish. In order to use BobCAM for SOLIDWORKS™, you must have SOLIDWORKS™ 2014 or later installed on the same computer that you choose to install BobCAM for SOLIDWORKS™. The following are system requirements for using Windows Vista, Windows 7,Windows 8 or Windows 10 x64. For Windows Vista systems, we suggest ATI or NVIDIA graphics cards. When using physical media (disk) to install the BobCAM software, the optical drive being used must support DVD-ROM disks. The system requirements listed above are suggested for running the BobCAM for SOLIDWORKS™ add-in. Please adhere to the system requirements listed inside SOLIDWORKS™ for optimum performance within the SOLIDWORKS™ system.